Dallas Texas Attorney - Frequently Asked Questions | The Ashmore Law Firm, P.C. Do you have questions about estate planning or the probate process? Do you need to know more about family law in Dallas? Are you wondering if you have a personal injury case? Are unsure if you need a lawyer? The Ashmore Law Firm, PC provides the answers to frequently asked questions (FAQs) about estate planning, probate law, family law and personal injury law. Please select a category from the box below to narrow your FAQ search. If you have a spouse, child or grandchild that loves to spend money they are considered a spendthrift. Whether you give them $50 or $5,000, they will spend it very quickly. "Studies have shown that out of 100 children who inherit $1 million dollars, only 1 child will still have that $1 million after a 10 year period." There is a special Trust that can be incorporated in your Will for the benefit of your loved one. It is called a Spendthrift Trust. This Trust will ensure that your loved one does not spend the lump sum of their inheritance all at once. As the creator of the Trust, you appoint a Trustee, who is someone you trust, or even a Bank or Trust Company. The Trustee you appoint has the authority to make distributions to your spouse, child or grandchild. All of the assets of the Trust are used for their benefit but your loved one cannot access the assets on their own. This will ensure that the assets in the Trust last for an extended period of time. How do you keep your kids from spending their inheritance all at once? There are Trusts the can be set up within a Will to protect children from spending their inheritance all at once. The Trust can take effect after you die or take effect while you are living. The Trust will ensure that you have a trustee in place to give distributions to your beneficiaries (children or grandchildren). The trustee can distribute the funds to the beneficiaries for health, education, maintenance and support. These terms ensure that a child or grandchild does not get a lump sum of money outright. This type of Trust is called a Spendthrift. Do I Need an Attorney if I’m Buying Real Estate in Texas? We recommend that you consult with an attorney before buying real estate. An attorney can be especially important in complex housebuying transactions. Also, depending on the volume you are purchasing, there are entities that you can create for liability purposes, asset protection and creditor protection. If a person is named as an executor or trustee of an estate, that person is considered a fiduciary. As a fiduciary, they are required to act in the best interest of the estate. If a fiduciary does not act solely in the best interest of the estate, they can be sued for breach of fiduciary duty by the beneficiaries of that estate. An attorney can assist a fiduciary to ensure they are not held liable. We recommend speaking with a qualified probate or estate planning attorney before acting as a fiduciary. Can the trustee of an estate be held personally liable if they do not fulfill their duties? Yes, the trustee of an estate can be held personally liable. If a trustee does not make correct distributions and/or proper allocations exactly as the Trust states, they can be held liable for their wrongdoing and the beneficiaries of the Trust could sue them for breach of fiduciary duty. A probate attorney can guide a trustee through the steps they need to take to ensure they fulfill their fiduciary duties and are not held liable. The Ashmore Law Firm has been serving the Dallas community for over 25 years. Please contact our office with any questions at 214.559.7202. Want more information? We have additional frequently asked questions about the Probate process here. Can the executor of an estate be held personally liable if they do not fulfill their duties? Unfortunately, the answer to this question is yes, an executor can be held liable. If you have an attorney, ensure that they are a qualified probate attorney. There are many things an Independent Executor should know in order to make sure they fulfill their position properly. A qualified attorney will tell you exactly what you should and should not do as an executor. If an executor does not do their job the right way, the beneficiaries of the Will can potentially sue for “breach of fiduciary duty”. In that instance, the executor can be held personally liable to all of the beneficiaries under the Will. Learn more information about being an executor by reading our article, 9 Deadly Mistakes an Independent Executor Can Make. Let’s first start where NOT to keep your Will. We recommend to our clients NOT to keep their original Will in a safe deposit box. The reason for this is in order to gain access to the safe deposit box, the banks generally require some type of order from the court. An order from the court adds on not only delay, but an expense that is not necessary. 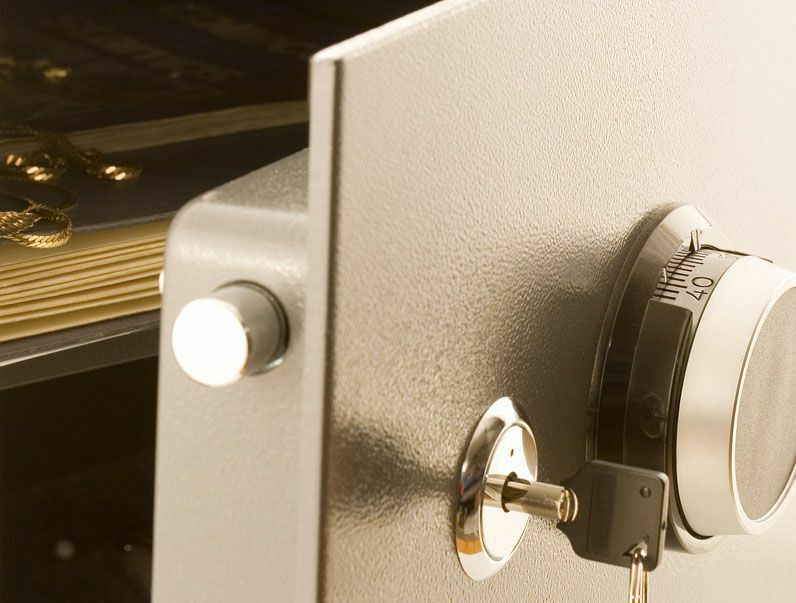 We always recommend that our clients keep their original Will in a type of fire proof lock box or safe that they have in their home. It is important that the original Will be kept in a safe place where access is not easily gained by family members or friends. The reason for this is if a family member or friend gains access to the original Will and tears it up, there is a presumption that you revoked it. Although in the state of Texas a copy of a Will can be probated, the applicant that is generally named executor, must first overcome the presumption that the Will was in fact destroyed or revoked. My spouse wants a divorce, but I don’t. Can I stop the divorce? If your spouse wants to pursue a divorce, there is nothing you can legally do to stop the process. You might try to convince him/her to attend marriage counseling with you to see if you can salvage your relationship, but he/she is not obligated to do so. Learn about how to begin the divorce process in our blog, I Decided on Divorce - What Now? How Long Does the Probate Process take to Complete in Texas? If there is a Will, it must be submitted for probate within four years from the date of death for all property to pass under the terms of the Will. The estate must be filed in the county where your loved one lived or where his or her principal estate was located. Believe it or not, it was ultimately up to your loved one whether or not his or her estate will go through probate. Your loved one may have planned for it, or simply thought he or she would live forever and had plenty of time to tackle estate planning. There are a number of documents that are needed to settle your loved one’s estate. Use our Probate Checklist to see what documents to you'll need. How will my spouse be notified if I file for divorce? When you file the Original Petition for Divorce, your spouse will be notified in one of two ways. He/She will either be served by a process server or constable, or a Waiver of Service can be signed. Most couples opt for the Waiver of Service in an amicable divorce. For more information on the divorce process, read our FREE book: What you Need to Know About Divorce in Texas. What Is a HIPAA Authorization Form? The Health Insurance Portability and Accountability Act (HIPAA) was enacted by the U.S. Congress and signed by President Bill Clinton in 1996. Title I of HIPAA protects health insurance coverage for workers and their families when they change or lose their jobs. Title II of HIPAA, known as the Administrative Simplifications (AS) provisions, among other things addresses the security and privacy of health data. We all have a right to privacy of our medical records. No one is allowed to get any medical information without our consent. However, there may be times when a family member or close friend may need to access your medical records and you are not able to give consent. For example, if you had a surgical procedure and something happened during the surgery that put you in a coma, your family would want to access your medical records to determine if the hospital staff or doctor did something wrong. Without your consent, your family will need to go through the legal process to obtain these records. In this example, you are not able to give consent. Signing a HIPAA Authorization allows you to name an individual or individuals to have access to your medical records and other medical information, without having to go through any court process or hiring an attorney just to get the records. As you can see, it is important to have the proper documents in order for your estate. Working with a qualified estate planning attorney is necessary to make sure things are prepared properly to relieve any concerns you might have. What are the requirements to write a Will in Texas? Be at least 18 years old, legally married, or serving in the armed forces. Be of sound mind at the time of executing the Will. Not be forced or deceived to make the Will. Have the intention to distribute property upon your death. 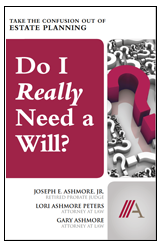 For information about writing a Will in Texas, request our FREE Book, Do I Really Need a Will? What is a Statutory Durable Power of Attorney? The statutory durable power of attorney is a document that allows the person or persons you have designated to handle your finances. This document is used if you are incapacitated and are not able to manage your financial affairs yourself. A statutory durable power of attorney can also be used if you need someone to take care of your finances immediately, for example if you are planning to be out of the country for an extended period of time but will need someone to continue taking care of your house or bills. The person you designate must act in your best financial interest and according to your wishes. Basically, this document answers the question, “If you become incapacitated, who do you want stepping in on your behalf?” Without a power of attorney, the judge is the one who will answer this question, not you. That's why it's so important to have your estate planning documents in order. How soon does an executor need to distribute the assets of an estate? There is a not an exact time frame in Texas for the distribution process, but we recommend that you collect all of the assets of the estate first. You must also make sure before distributions can be made, whether or not there are going to be any taxes owed, such as, income tax from the first of the year till the time of the person's death, and any estate tax (If the estate is over the estate tax exemption amount). Also, there are ways the beneficiaries of the estate can attempt to force you to make distributions, but they must first go through the Probate Court. There are a number of documents to settle your loved one's estate, use our Probate Checklist to help make sure you have the correct documents needed during the probate process. What is the difference between Probate Assets and Non-Probate Assets? Includes all interest and assets, real or personal, tangible or intangible, that are owned outright by a person at the time of his or her death. "Probate assets" are those assets that have no beneficiary designation and will pass under the terms of the Will. These assets pass upon death to the named survivor or beneficiary "outside of probate." These assets are those that do not pass under the terms of a Will. They are assets that pass to a beneficiary named on the document that was signed when the asset was created. Our article, Probate Assets vs. Non-Probate Assets goes into more depth on the difference between these assets. My Loved One Passed Away, What Information do I Need to Probate their Estate? A qualified probate lawyer can be a great asset to help you make sure that you are handling the estate correctly as well as assist you with any legal matters. If you haven’t already contacted your loved one’s attorney or hired one on your own, you should do so soon. For more information, request our free book, What to do When a Loved One Dies.